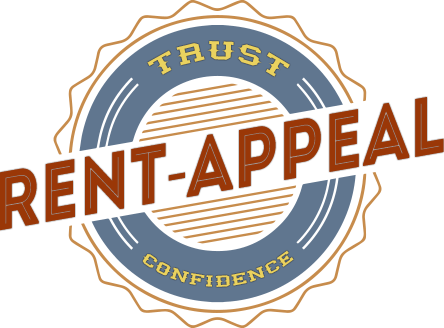 Rent Appeal is an Atlanta based property management company that began in 2013, guided by the principles of simplicity, efficiency and passion. Over my career, I can’t tell you how many times I’ve heard other Atlanta property managers say they can’t wait to retire or sell the company. Property management is not a passion for all, or even many. It’s a position that plays on so many emotions of both ours and those for whom we work. When managing the place that people call home, it can be difficult to set proper expectations when dealing with maintenance, late rent, lease violations, and other day to day tasks. You may think that managers need to “take the emotion out of it”, but if we did that, tenants wouldn’t be inclined to stay long term. We have to create balance within the tenant, landlord and vendor world. By doing so consistently, we can create strong, lasting relationships. Rent Appeal has a strong focus in property preservation and pro-active maintenance. We believe that a property should not be marketed until it is completely “turn-key” ready. Attention to detail pays off when we get full price offers and multiple qualified applicants. We select properties for our portfolio based on the owner being like-minded and not because of potential profit. Owners can easily take the cheap route with repairs and maintenance, but they will not be a good fit for our structure. We seek out well-maintained properties and are able to find well-qualified, serious tenants as a result. We consider this landlord/management relationship to be long term and much like that of a marriage. There may be differences of opinion along the journey, but as long we can agree on the destination, we’ll arrive there together. At Rent Appeal, we keep the lines of communications wide open. We believe this is essential for any Atlanta property management company to thrive and be successful. Because we are a boutique style business, we offer the personal touch that many enjoy. When an emergency comes up, and they always will, there is peace of mind in knowing who to call and exactly what the plan is. Even better, we are set up for the out-of-state and foreign investors. We offer paperless systems that are available in an online portal for easy access anytime. Additionally, we share pictures and accounting documents through the portal. Owners are able to make online contributions towards repairs in less than a minute and with no fees when using an e-check. This makes emergency work easier to handle and easily tracked from beginning to end. This also allows Rent Appeal to keep track of all income and expenses for the entire year! Accountants love the clean accounting reports and invoices that are readily available. Our contracts are also electronically signed and available online. Our systems are structured around simplicity and efficiency. They are simple enough to use even without much knowledge in computer systems. Without a doubt, maintenance is unquestionably the most time consuming piece of managing properties. Every Atlanta property is unique, and so is each property owner. There is no single solution to fit every maintenance situation. Every owner also has their own preference of involvement regarding emergencies and repairs. Because of this, we are able to customize the lines of communications with owners. Some prefer a phone call and others a text or email. Regardless of the preferred method, we feel that every owner should know when maintenance is necessary, even those that may seem insignificant. The landlord is notified as soon as the maintenance request comes in. They are given the description of the problem, any troubleshooting that management has done, and they are told what the plan is to get the repair remedied. Prices and budgets are discussed every time. Whenever possible, we include a before and after picture along with the invoice. Repairs are given top priority to insure they are resolved quickly. Our vendors have provided current copies of liability insurance and worker’s comp to ensure our owners are protected. Because of our good relationships in Atlanta, Marietta and beyond, vendors are likely to discount their regular service prices. And, because Rent Appeal does not profit from maintenance, we can pass those discounts directly to our owners. We simply dedicate our position to keeping properties well maintained. Rent Appeal takes pride in our listings and will never list an Atlanta home that isn’t ready. Using a quality, wide-angle lense camera we take between 40-100 pictures on average. We show all angles of our listings, so tenants get a true sense of the space. Our listings are posted to most of the major websites included Zillow, Trulia, Hotpads, Loveley, Realtor, and the local MLS. This means that not only can any licensed agent show our homes, but also anyone searching the web for a home in Atlanta, Marietta and beyond will see your listing. Our leasing agent will provide a weekly report with updates including inquiries, showings, applications and feedback. We keep track of the market to make sure we are competitively listed. Our goal is to rent the Atlanta property as quickly as possible to the most qualified and best-suited applicant possible. We would rather take a little more time to make sure we are placing a high quality tenant in your property. Our rental guidelines are tough, but it’s easy to find good tenants when you are offering well-maintained and modern Atlanta properties. Our tenant screening process thoroughly examines multiple qualification factors. Not only do we check credit, but also background, rental history and employment status. Our applications are processed in-house to allow us a more in depth analysis. We want to be certain that all information is deemed accurate and true. All too often, a potential tenant may look good on paper, but a deeper inspection reveals warning signs or disqualifying factors. Non-qualified tenants can and do cost Atlanta landlords thousands in lost rent, legal fees and property damages. We spend our time checking application accuracy while upholding consistent standards for all applicants. We follow all state and federal guidelines and never discriminate against protected classes. It’s important for everybody to have a place to call home and we love helping the Atlanta people find a clean and safe place to live. An ideal security deposit release would include the tenant getting their full security deposit back. We spend on average 2 hours conducting the move in walk through, which includes full documentation of the property condition and tons of pictures. When charges are applied to the tenant’s security deposit, it normally does not get disputed for long, if at all. With our documentation, the tenant normally agrees with the charges and the damages. We schedule a walk through with the tenant prior to them vacating the property and try to prepare them for possible problems, giving them an opportunity to correct the issues ahead of time. We have tenants who leave one of our houses only to move into another. They enjoy the consistency and fairness of our policy. As rent comes in monthly, we make a point to have all Atlanta owners paid before the 15th. The amount due to the owner goes directly into their preferred account via ACH. A statement of expenses and income is uploaded to the owner portal monthly. In January or February a year end statement is also uploaded to the portal. We recognize that not all investment properties in Atlanta and its surrounding areas are in good condition. Some owners simply do not have the time or resources to complete all of the items needed. It can be difficult to find Atlanta vendors that you trust and that will give you a fair estimate. Some vendors will not honor their work and will not provide valid warranties. We have spent many years searching for the best and most honest vendors around. We are able to help coordinate repairs without an owner being present. This is important for those who are not local. An agent would meet with the contractor at the Atlanta home and send the owner pictures of the property at our visit. The vendor would send the owner an itemized estimate of the necessary turn key items. The owner would handle payments to the vendor directly, unless they are minimal and then management could pay on the owner’s behalf. Management will oversee the work for the owner and report back to the vendor and owner. Once the work is complete, a Rent Appeal agent will sign off on the job once being walked. The landlord can relax knowing their investment is being well monitored and improved without the inconvenience of traveling. Our property management staff is trained to communicate with the HOA during every step of the leasing and management process. We believe that Home Owner’s Associations are part of our team and respect their ability to keep neighborhoods in Atlanta well maintained. If your home is being managed by violations, all other and us notices come to us for handling. We act quickly and communicate often to ensure adequate compliance and a healthy relationship. Our team takes pride in being the best Atlanta property management company out there! We cherish the relationships that we’ve kindled and are eager to make new ones. We hope you give us the chance to address your property management needs. Even if you just need advice or direction, we’re happy to share what we know or recommend other companies who could help. We’ll never try to sell you a service – we don’t even have a sales team. We just believe in being good neighbors, providing top-notch service, and loving what we do! We are privileged to call Atlanta our home! Our staff is mostly comprised of native Atlantans. We’ve stuck around because of all the area has to offer – friendly and diverse people, great food, growing business and economy, moderate weather… just to name a few of the benefits. The reasons we love Atlanta are the same reasons others are attracted to the area at a growing rate. Not to mention, the affordable cost of living helps make Atlanta prime real-estate investment. Investors are realizing the potential that Atlanta holds. We feel that Atlanta has two types of neighborhoods: great ones, and soon-to-be great ones. The same is true with investment properties, and we don’t shy away from potential. To us, there’s no greater reward than finding a diamond in the rough and polishing it until it shines. We’re happy to share our love of this city with anyone willing to listen, even if they never set foot in the area. We can be your virtual guide! Jennifer and the team are bottom line dependable, honest, and always quick to communicate – which in my case is important since they have been managing my property for over 2 years. I live in California and I depend on the team to provide timely payments, updates on tenant issues, etc. Jennifer came highly recommended to me from a family member and I highly recommend them to anyone looking for a professional and dedicated team of property managers. Jennifer and the Rent Appeal team have been managing my properties for 4 years now. In this time, the Rent Appeal team has been extremely reliable, professional and easy to work with. With Jennifer there are never problems, only solutions; and they’re all executed in a timely manner. Highly recommend this management company! 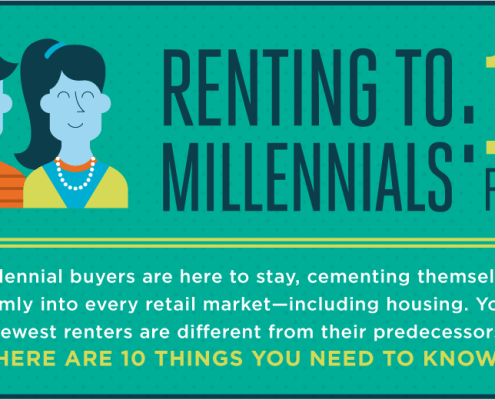 Can I afford to own rental property? 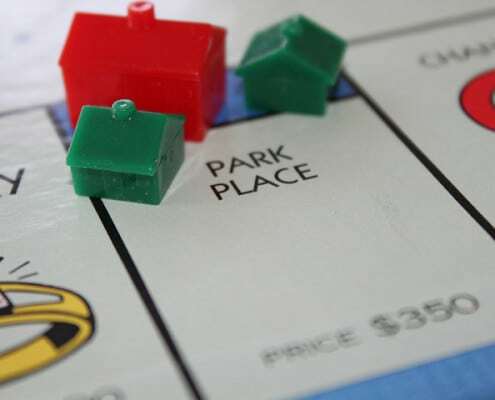 https://rentappeal.com/wp-content/uploads/2014/07/Monopoly-Park-Place.jpg 480 640 Shawn Whaley /wp-content/uploads/2013/04/rentappeal-logo1.png Shawn Whaley2014-07-26 16:01:482014-10-11 17:18:01Can I afford to own rental property?